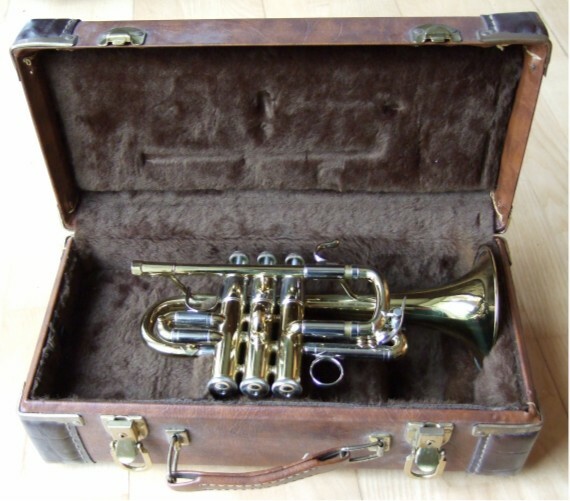 Bach Stradivarius Model 193 piccolo trumpet in G. This trumpet is in excellent condition. 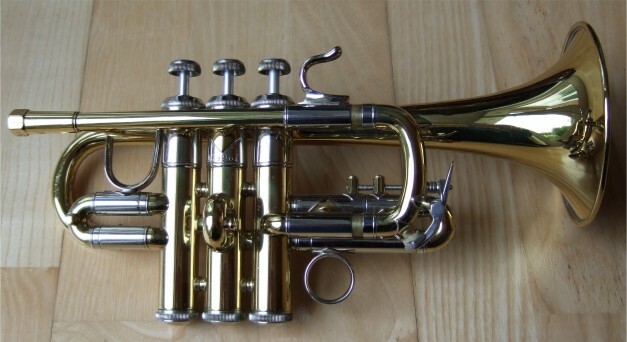 The lacquer is in good condition with no signs of wear and the trumpet is 'clean' (no dents, etc). The valves are very good and the slides all move as they should. It has a nice tone which blends easily with other trumpets and is easy to play. Comes with its own Bach case which is also in excellent condition. I've used this trumpet playing all sorts of high trumpet parts. For me, the G piccolo trumpet has a much better sound than the high piccolos and works well both as a solo instrument and in sections with other high trumpets. 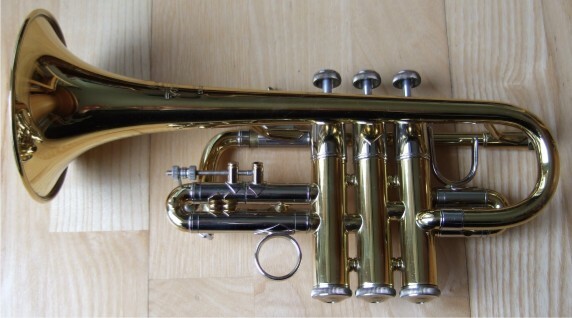 G piccolo trumpets are very rare and this is great value! Copyright © 2008 Philip Bishop. All rights reserved.